ARE YOU GETTING THE BEST SERVICE FROM YOUR BUSINESS CHAUFFEUR PROVIDER? It’s an important question to consider. A business chauffeuring service can help new and existing business relationships flourish. You can also impress your boss with your impeccable taste and resourcefulness by choosing the best business chauffeur service. If your current business chauffeur service option doesn’t measure up by the end of this article, it might be time to consider Belgravia Chauffeurs. 1. Is your business chauffeur provider flexible and reactive to your specific travel needs? When you hire a chauffeur driven car for a client, or even your boss, you want their ride to be the most comfortable and stress-free experience possible. Whether you’re trying to impress your boss or your boss is trying to impress a client, hiring a chauffeur company that cares about the finer details shows that you, and the company you work for, are aware of how to make a great impression. 2. Does your business chauffeur provider make it easy to track your bills and paperwork with them? Chasing expense invoices and receipts at the end of the month can be a headache. How much easier would it be if all of your company’s travel expenses were easily accessible from one secure place? A good business chauffeur company can help you save time with your admin so you can focus on more important things. 3. Can your business chauffeur provider transport you and your guests across London and beyond? Finding a business chauffeur service that operates nationwide can be difficult. With the majority of chauffeur services based in London, trips further afield can be expensive. You want a chauffeur company that can transport your clients across the UK without the extortionate price tag normally associated with long-range trips outside of a London postcode. 4. Does your business chauffeur provider organise business roadshows to meet your specific requirements? Here’s a scenario; you are organising and coordinating a financial roadshow across the city for your boss, and as part of that task, you have to work out routes and timings. Without the know-how of an experienced chauffeur, this can come down to scrolling through Google Maps and pure guesswork. You need a highly organised and skilled chauffeur who knows the best, fastest and most scenic routes through the city and across the UK. A chauffeur service that takes your itinerary and makes it happen will save you time and stress. Best of all, it will make you look great. 5. Does your business chauffeur provider offer airport pick-ups with no charge rate for extended waiting times? You might be welcoming international guests for business meetings or sending someone to an overseas conference. Travelling in comfort and style to and from the airport will make that journey enjoyable and memorable. Unfortunately, delayed flights and airport holdups can result in lengthy waits for drivers and added charges to your bill. You need a chauffeur service that understands the pressures and difficulties of international travel and reflect that with their policies. Chauffeur services that don’t charge for waiting times but stay in touch with their customers throughout their journey will help your company save money and put travellers at ease. At Belgravia Chauffeurs we strive to deliver the best business chauffeur services for our clients. Our seamless chauffeuring services offer premium style, unrivalled professionalism and total support. This makes us the best solution for business meetings, financial roadshows, and corporate hospitality & PR events. If you book a journey with us, one of our professional and dedicated travel managers will be immediately assigned to take care of everything for you. We’ll look after you right from your booking to the end of the trip and beyond. Please talk to one of our team members at Belgravia Chauffeurs on +44 (0) 207931 9797 to open an account or to discuss your specific trip. In business, it’s important you show your clients and partners how much they mean to you. Your clients should feel appreciated and well looked after – especially when they’re making the effort to visit you in London. Providing your clients and partners with an executive car service while they’re visiting you is a great way to build and enhance your business relationships. In this article, we explain why. Here are 5 ways an executive car chauffeur service can help you win over your clients. A luxurious chauffeuring service will show your business partners and clients that you truly value them. Business guests who have the opportunity to travel in luxury while moving between stressful parts of a business trip will feel more relaxed, laid back, and appreciated. A chauffeur driven car will also demonstrate your first-class hospitality – something that they’re unlikely to forget. 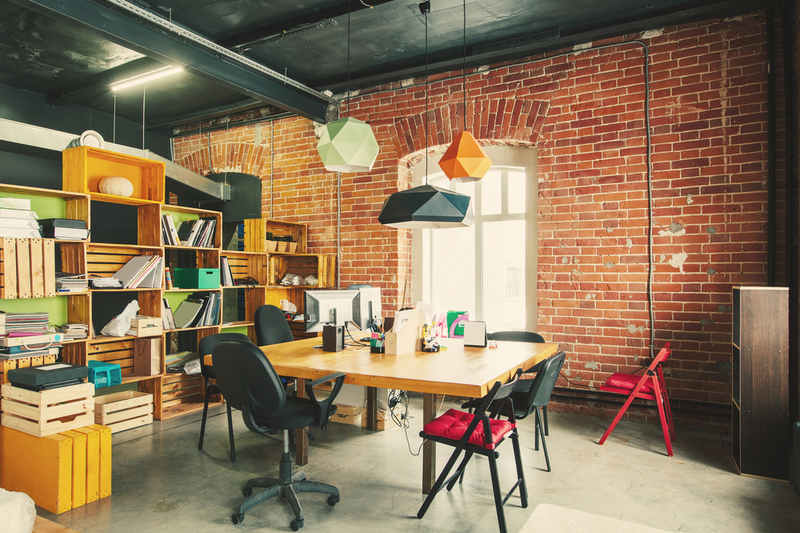 In addition, providing this service will tip the scales in your favour if you want to make a positive impression on new and existing business connections. At Belgravia Chauffeurs we only use the latest and most luxurious chauffeur cars. We take great pride in the cars in our fleet, ensuring they’re the highest of quality. Each car’s interior is designed to bring our customers comfort and safety, while the exteriors boast class and elegance. Making a great first impression should be a priority when making new business connections, especially if you want to develop a fruitful relationship. So, take the initiative and make the first move. Using a chauffeur driven car service will give you the chance to control and project an image of who you are and what your business is all about. It will also help you to appear more professional. Clients and partners using your service will believe their chauffeuring experience is a reflection of the high standards your business holds. Our fully trained and experienced chauffeurs are carefully chosen for their professional standards and attentiveness to their passenger’s needs. Their primary concern is to ensure the journey is enjoyable, stress-free and memorable. Work trips come with busy schedules and meetings across many different locations. Having the ability to answer emails or prepare for the next meeting in comfort, while on the go, will set your partners and clients up to have a successful business trip. A chauffeur driven luxury car will allow your guests the opportunity to get more work done as they travel. Compared with normal transport like taxis, the calming, distraction-free environment of a chauffeured car is ideal for working on the way to, or from, a meeting. At Belgravia, all of our chauffeur cars provide unlimited Wi-Fi to keep your guests connected on the go. Our fleet of premium rated cars are also extremely comfortable and quiet, making them perfect for impromptu working. A chauffeur driven car takes the stress out of a busy business trip and helps ensure your visitors avoid anxiety and enjoy themselves. By removing travel stress, you’ll help your business guests focus more on work, in turn encouraging more productive meetings. If your visitors only have to think about their work rather than the travel details of their trip, it will you and your business who benefit from their added focus. Proving a chauffeur driven car is also another opportunity to show-off the personal side of your business. It shows how you conduct your existing business relationships, and that you consider possible stressful events during a work trip and make efforts to avoid them. At Belgravia, we understand that smooth, trouble processes help your business and your clients. That’s why when you book with us, we’ll assign one of our professional and dedicated travel managers to your account. They’ll look after you right from your booking to the end of the trip and beyond. In addition, our experienced chauffeurs have extensive knowledge of London, so you can trust them to get your guests where they need to go in the shortest time possible. By providing a chauffeur driven car, you’ll build trust with your new partners or clients. Firstly, it will show that you’re thinking about their needs and providing a service that will enhance their trip. Secondly, it will show them that you’re making the effort to build a solid relationship with them. We can help you to nurture important business relationships with our chauffeur-driven car services. Here at Belgravia Chauffeurs, we strive to deliver the best business chauffeur services to our clients. Our seamless chauffeuring services offer premium style, unrivalled professionalism, and total support. This is what makes us the best solution for business meetings, financial roadshows, and corporate hospitality & PR events. Find out more about our corporate chauffeur-driven car services now. 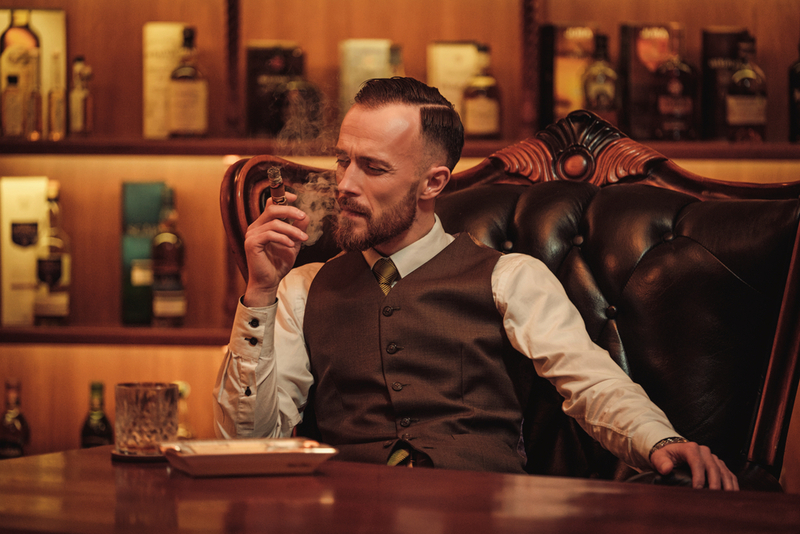 English gentlemen’s clubs have been mysterious over the years, so much so that it can be hard to separate the facts from the fiction! How to get access to these clubs, what do people do in the club and where these clubs are, are still questionable. In this article, we throw a spotlight on some of these exclusive, members-only haunts. And once you become a member, don’t forget to get your private chauffeur and a luxury vehicle ready to show who you are. If you ever get inside, you will see that the Athenaeum gentlemen’s club is a building designed in a neoclassical style. Those arriving on foot or by private chauffeur will see a statue of Athena, the goddess of wisdom, looking over them. This is a haven of tranquility which even offers its members the choice of several libraries, but in a sign of the times, no smoking is permitted in the Smoking Room. The club has built a reputation as being a meeting point for those with intellectual interests. Beginning its life as a spot for politicians in the early 19th Century, The Reform Club, as its name suggests, might be seen as more liberal than some gentleman’s clubs. It was one of the first to admit women. This being said, membership is still a strict process which involves being proposed and seconded in order to gain access to the complex on Pall Mall, which includes a restaurant and chambers for overnight stay, as well as a wine cellar. White’s is another exclusive corner of London which goes all the way back to 1693. Several Royals are among its members, and they can take advantage of a gaming room, an extensive menu and a bar which is noted for its sheer majesty. According to the Daily Telegraph, to become a member of White’s you need your name written by 35 members in addition to your proposer in a leather bound book. There is still the opportunity for those who do not want you to join to write ‘never’. The East India Club has come up with a novel way of addressing the issue of members choosing to do their work inside – it has opened up a business room. This is a club which is known as being quite sporty, offering a billiards room and a gym. It also runs several sports teams. Why the youthful demeanour? Perhaps because it started life as a merger with the Sports Club and Public Schools Club, and was known as an ‘entry level’ gentleman’s club for young public school boys. 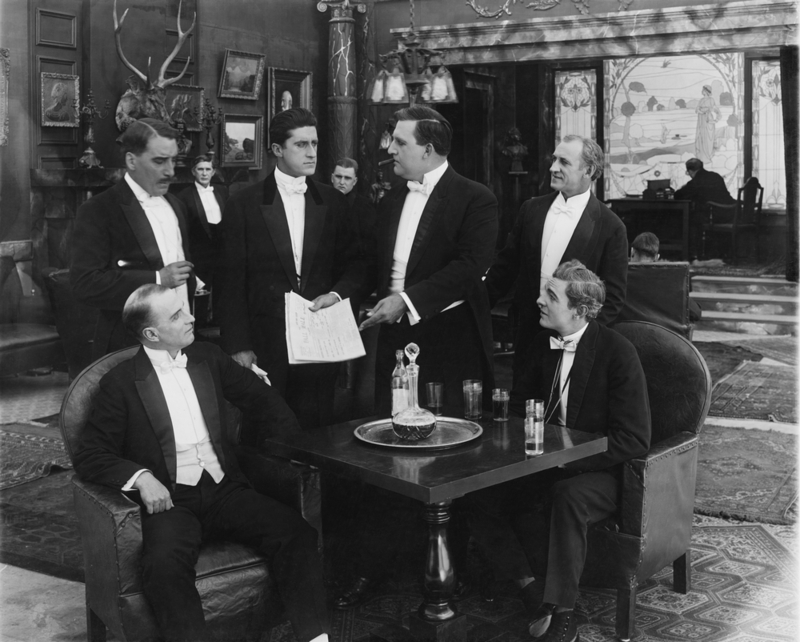 Despite the large number of gentlemen clubs in London, their high membership fees and the loops which members may have to jump through in order to be accepted, it is said that they are still oversubscribed. That’s not to say, however, that there aren’t some establishments which are said to be questionable in the context of modern day society. David Cameron, the former British Prime Minister, famously withdrew his membership of White’s when leader of the opposition. It is entirely possible that this encouraged even more prospective and intrigued members to join. 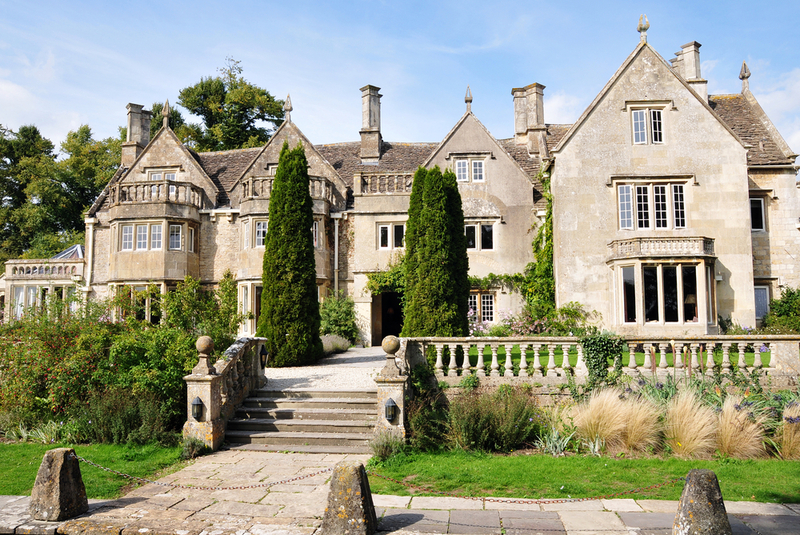 This perfect manor house offers the best in fine dining from Raymond Blanc and foodies will adore the opportunity to join the master chef for a class in the Raymond Blanc Cookery School, where everything from dinner party catering to kids’ cookery classes is taught by expert chefs. Every delightfully themed bedroom in the hotel is luxurious and immaculate, some of them complete with private gardens. One thing you won’t find here, though, is a pool and spa, although you can opt for private beauty treatments in your room. Rooms start at £756 per night. 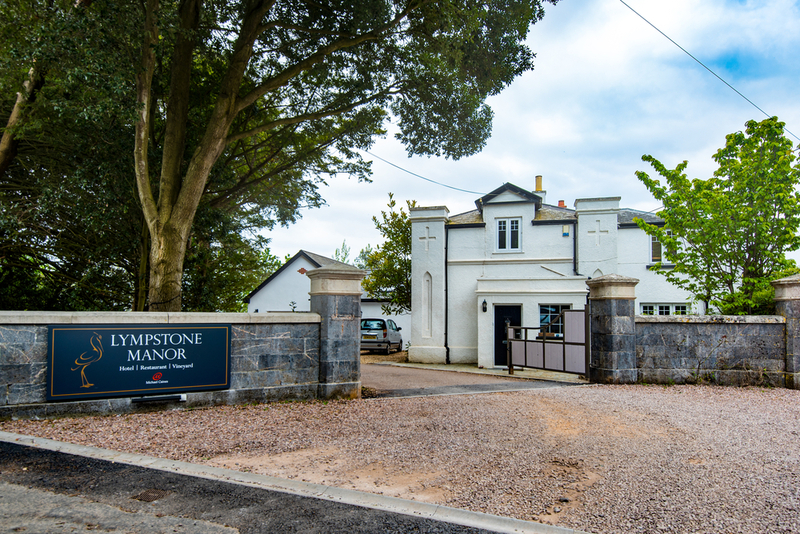 Londoners will adore this gem of a hotel set within the natural splendour of the New Forest and it’s an ideal choice for families. Opt for a private chauffeur to whisk you from the heart of London to Lime Wood in next to no time and get your staycation off to a luxurious start. The decor at Lime Wood is immaculate, but the Herb House Spa is an outstanding feature, that cannot be beaten. After working up a sweat in the gym, take time to relax in the rooftop garden. Double rooms start at £315. This stunning country house hotel is set in immaculate grounds sweeping right down to the estuary of the River Exe. Michael Caines, MBE, presenter of the Great British Menu on the BBC, runs the hotel and no expense has been spared in creating guest rooms that stun. Some feature outside baths and the hotel is renowned for its stylish decorations. Frequent trains run from London, or opt for a luxury chauffeur for your journey to arrive in total style. Rooms start at £245 in the low season, and the hotel’s eight course taster menu dinner should truly not be missed. Cliveden glows like a jewel as you make your way up the sweeping drive to the hotel and take in the stunning woodland views surrounding the ancient house. If you really plan to make the most of your English staycation at Cliveden book into either the Prince of Wales Suite or the Lady Astor Suite for sumptuous grandeur that cannot be matched. The hotel features indoor and outdoor pools and is family friendly. Rooms start at £252. Rutland is a perfect choice for an English staycation, offering all the leisure activities you could wish on Rutland Water. Hambleton Hall provides delightful views of Rutland Water and has a typical country house aura which is matched by the flower-filled gardens. Rooms have a classic appeal and are divinely comfortable, with doubles starting at £290 per night. Begin your English luxury staycation in the style you deserve by hiring a private chauffeur for your ride to your country house hotel destination. It’s a luxury that’s well worth the money, as you will feel your cares lifting and joy awakening as soon as you relax into the comfortable interior of your exclusive rental vehicle. There’s nothing like a day at the races to make you feel like a true VIP. 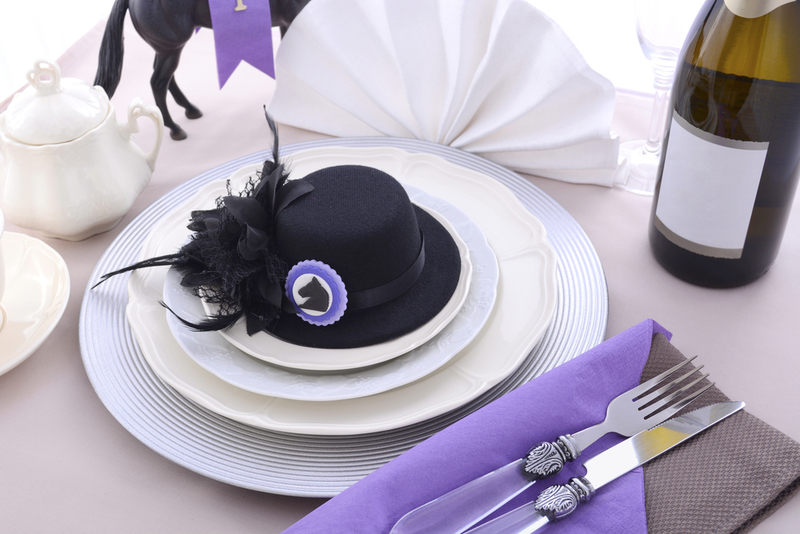 But if you’ve managed to score tickets to Royal Ascot, it’s important to be prepared. 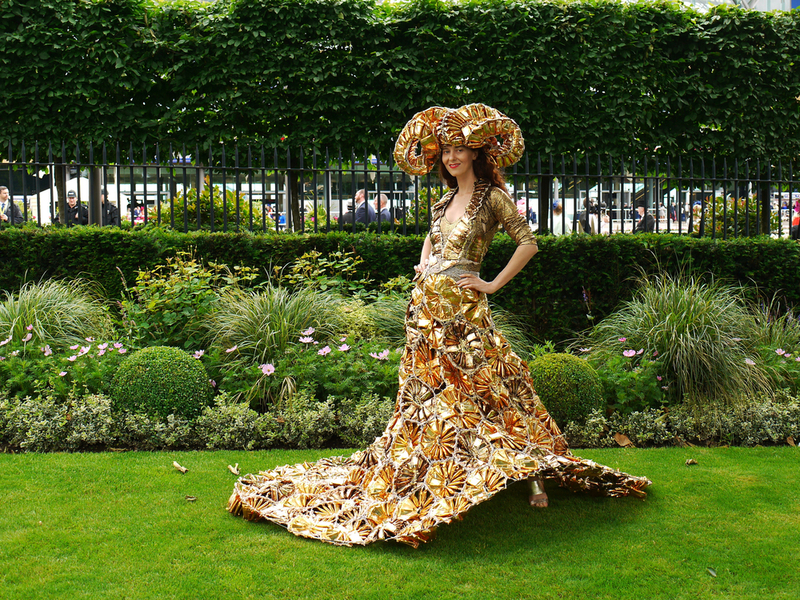 Take note of these tips to ensure that you look right at home in the Royal Enclosure. The dress code at Royal Ascot is taken very seriously indeed: there’s no pleading with the bouncers here! 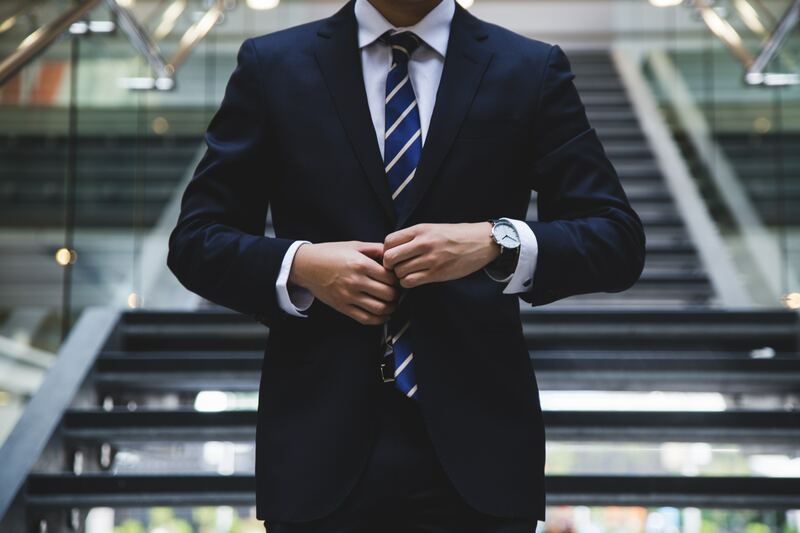 The level of formality varies depending on where you’ll be, but wherever you are, don’t expect to see much in the way of casual clothes on display. In the prestigious Royal Enclosure, gentlemen must wear full morning dress and ladies are not permitted to be without a hat. Meanwhile, in the Queen Anne Enclosure, ladies can get away with a fascinator and gentlemen must wear a suit and tie. The more relaxed Village Enclosure demands jackets and ties rather than full suits. It’s worth going all out when it comes to clothing at Royal Ascot: how often do you get the chance to dress up like this? Even if you’re in the Windsor Enclosure, without a formal dress code, you might as well take the chance to throw on your glad rags. Ladies, be sure to bring a pair of flats in your handbag – you’ll be on your feet all day, and you’ll be needing them when it’s time to go home! Lovers of fancy cars will have plenty to celebrate as they arrive at Royal Ascot. Expect to see some of the grandest, most spectacular vehicles in the UK carrying guests to the destination. But even if you’re not the Queen’s third cousin, that’s no excuse for taking the bus! If you’re getting dolled up, public transport can be a bit of a buzz-kill. To enjoy the full experience, it’s worth splashing out on a Royal Ascot chauffeur to take you there in style. Nothing will get you in the mood faster than arriving at the racecourse in your own private luxury car. Of course, the most prestigious part of the racecourse is the famous Royal Enclosure. Sadly, not everyone can get in – you’ll need sponsorship from two members who have attended the event for at least four years. If that’s not on the cards, then you have other options. For a more formal experience, stick with the Queen Anne Enclosure, where you can enjoy a front row seat to watch the Royal Procession. This year, the Queen Anne Enclosure has been remodelled slightly, with the addition of its own private sun deck and live DJ. The more relaxed Windsor Enclosure offers access to some great bars and food stalls, and you can even order a picnic and enjoy it at one of the picnic tables. 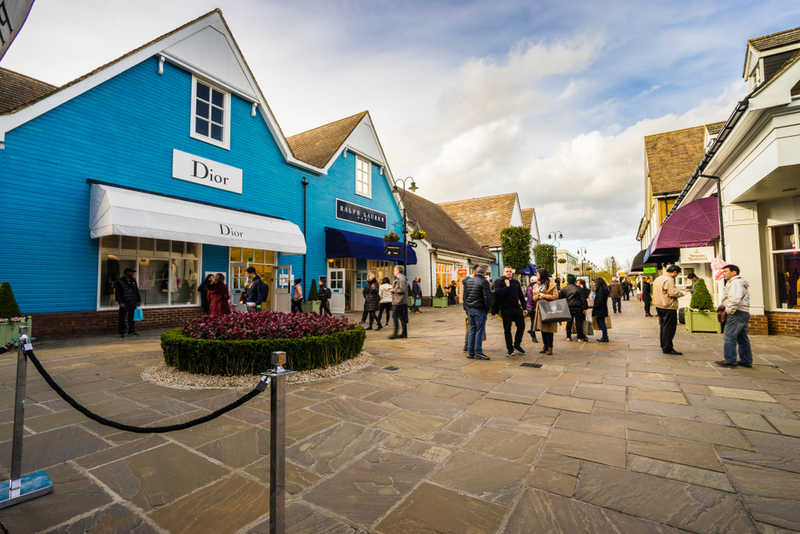 Finally, the new Village Enclosure – only opened last year – is sure to be popular with the younger crowd, with its street food options, DJs and live bands. In terms of food, you’ll find plenty of options to suit every taste. The Village Enclosure, in particular, boasts street food from around the world. Be careful, though – a messy burrito could spell disaster for your morning suit! Expect to find a variety of drinks on offer, too. To keep on-trend, keep it British when it comes to your beverage of choice. Most of the bright young things in the crowd will be indulging in some classic summertime Pimm’s, and of course, you should try Ascot’s very own signature cocktail, the Beefeater gin-based Royal Blush. The Farnborough airshow takes place between 16 and 22 July, 2018. The event begins with a five day trade show, rounded off with the spectacular public weekend airshow event. Thousands of exhibitors from the aerospace world will attend and demonstrate their innovations and products, while executives from the world’s top aircraft companies will be networking and exploring the ideas on display. After this, the public are welcomed to two days of family fun, with over five hours of flying displays and hundreds of great stalls and activities. The highlight of the Farnborough airshow is the fabulous flying displays put on by stunt pilots and service professionals from across the UK. From modern military aircraft to historic replicas, all manner of stunning aircraft will be flying above the Farnborough airstrip during the airshow weekend. On Friday, trade visitors will be treated to an exclusive display between 14:00 and 16:45. 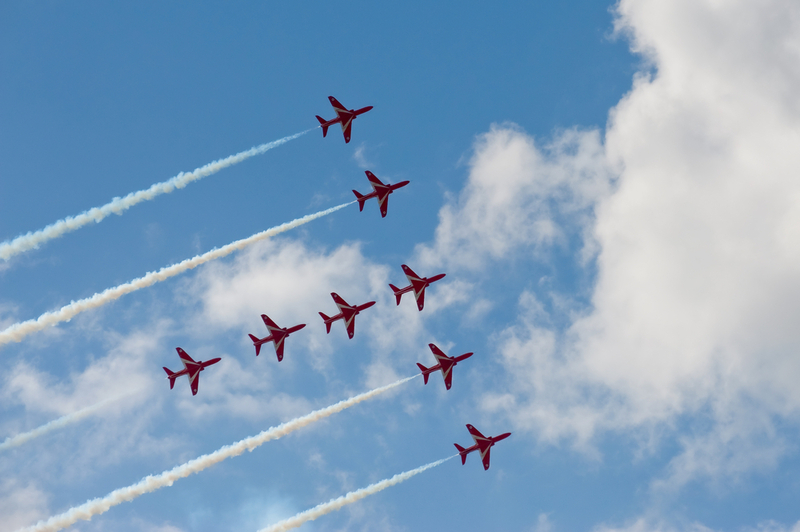 On Saturday and Sunday, flight displays will occur periodically between the hours of 12:30 and 17:30. The event itself is open between 9am and 6pm, so there is plenty of time to fit everything in. Aim to arrive early, so you can check out the stalls, activities and exhibits in the morning. That way, you won’t miss a minute of the flying shows! The trade event is for professionals in the aerospace sector. It includes suppliers and manufacturers, designers, engineers and directors who have some connection to the commercial aerospace industry. However, the public event at the weekend is open to everybody: locals and visitors, adults and children. 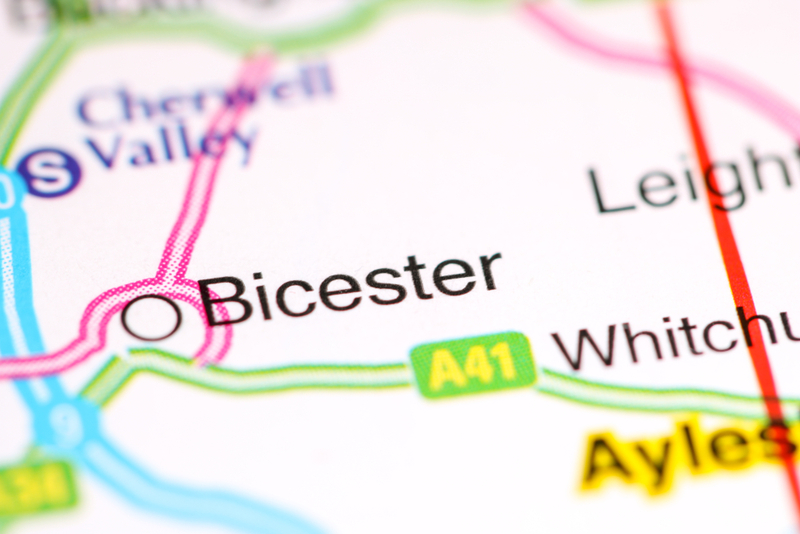 It is the ideal place for a fun family day out, and there are lots of facilities and activities which will keep visitors of all ages entertained. Excite your inner daredevil with tank driving and zip wire experiences, or experience freefall with the stunt bag drop. Falling stunts will also be performed throughout the day. Get a taste of the open skies with the Flight School experience, back by popular demand, and of course, watch the incredible flying displays together. The best way to reach the airfield, located along the A325, is to use the M3 or A31 access roads. Signs will be posted in the vicinity of the show to guide you off the motorway and onto the car parks. You could also travel by bus or train, arriving at Aldershot or Farnborough Stations. Shuttle buses will run to and from the site throughout the event. If travelling from London, make sure to allow at least two hours for the journey. Heavy traffic is expected around the event itself, which could cause delays. Save yourself the stress and worry of driving, and arrive at the trade show or public event in executive style. Book a chauffeur to Farnborough International airshow who will drive you to the venue in a comfortable, stylish and attractive high-end vehicle. We have selected the Mercedes S Class as our top pick for chauffeur runs, as it blends performance with luxury and allows our guests to travel in true VIP style. A typical chauffeur vehicle package is equipped with a Wifi hotspot so you can work or play on the go, and drinking water is provided for your comfort. The vehicle will be air conditioned and fitted with soft leather seats. 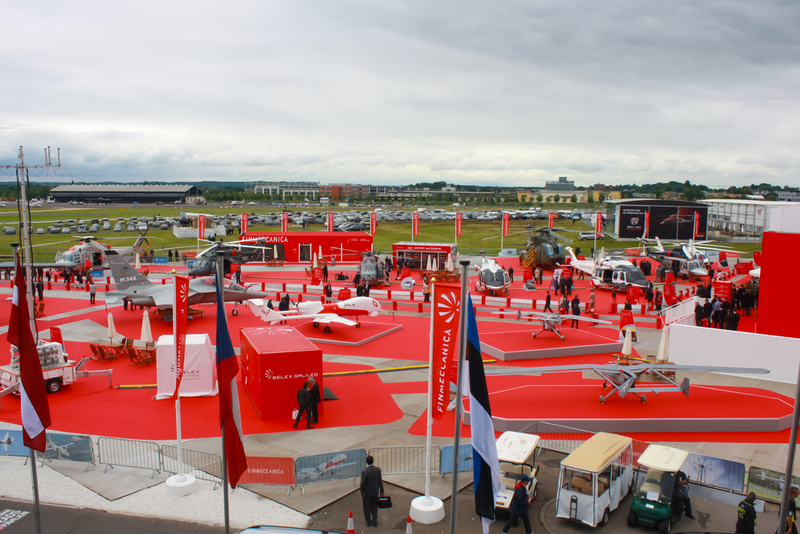 The chauffeur package to Farnborough airshow (£450) could take the stress out of driving and allow you to concentrate on enjoying your trip. We offer a fast and reliable chauffeur service to and from the United Kingdom’s busiest airport, London Heathrow. The airport is a destination in itself, housing many designer boutiques, champagne bars and restaurants of famous chefs. More than 200,000 passengers pass through Heathrow every day and many of the world’s top airlines fly to and from its five terminals, making this airport a truly international hub. If you have a flight booked to or from any of London Heathrow’s terminals, we can help you arrive and depart in true style. Our chauffeurs offer a luxurious experience, fit for the most discerning jet-setter. 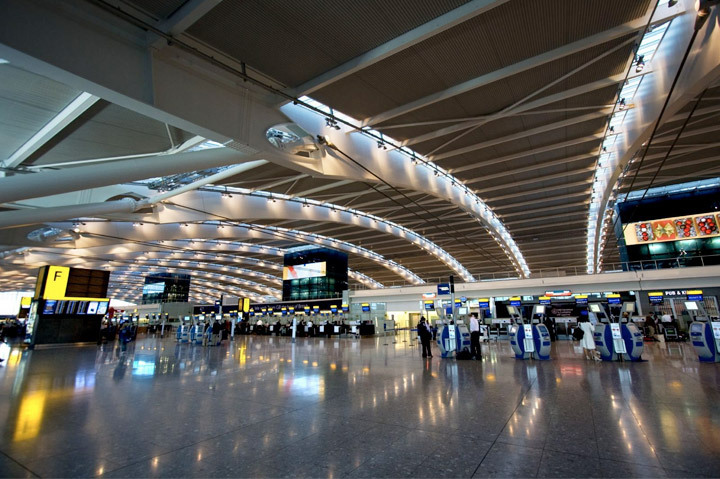 London Heathrow’s five terminals are situated around half an hour’s drive from Central London, just outside the city to the West and close to its ring-road motorway, the M25. 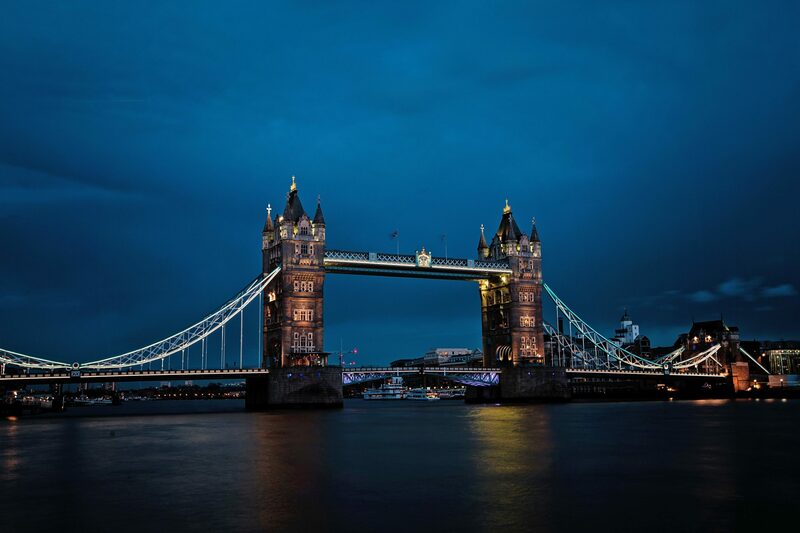 So if you are arriving into the capital, one of our luxury vehicles can provide the perfect environment to unwind after your flight, as well as being an ideal place in which to admire and take in London’s infamous skyline. Our chauffeur service is about more than our high-end vehicles – it is about ensuring that your Heathrow airport experience is as smooth and stress-free as possible, whilst also ensuring a touch of understated luxury. If you are arriving into London Heathrow, we will monitor your flight to make sure we are there at the right time; whether you are delayed, or if you happen to get through the airport a little early, we’ll be waiting for you. According to Visit Britain website, there were 39.3 million tourism visits to the UK in the 12 months to October 2017. And with summer 2018 on the way, we can expect another rise in visitor numbers as people take advantage of the kinder climates during the hottest season. The UK isn’t just a tourism magnet in terms of Europe, it is one of tourism’s global hot-spots. But why? In this blog, we take a look at how the UK has become the destination of choice for many and why you should visit Britain. 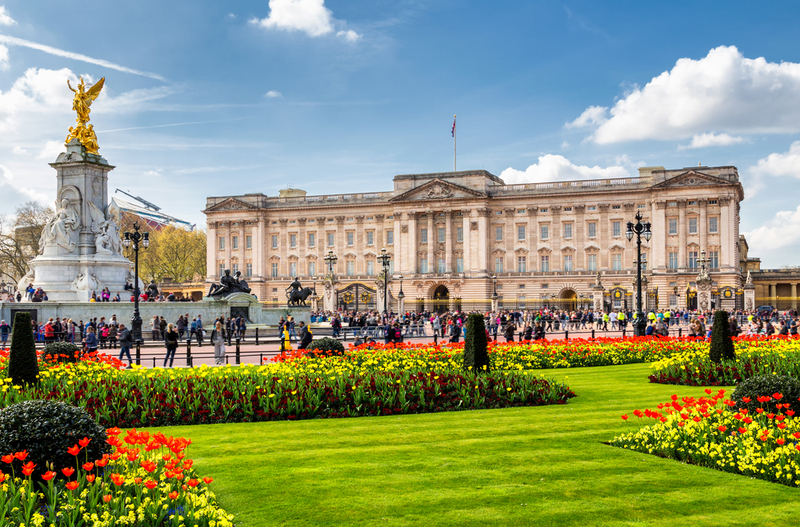 Going back to the Ancient Roman times, the UK has a rich history, and much of it has been documented in museums such as the British Museum, Victoria and Albert Museum and the Natural History Museum in London – which are open to tourists throughout the year. There have been international wars, civil wars and industrial revolutions. With so many historical periods to learn about, maybe it isn’t surprising that tourists want to see the UK’s historical sites. English is the third most spoken language in the world after Mandarin and Spanish, but it has assumed a position as the ‘international language’. You can hear English spoken by two people who have never even been to the UK before as a ‘neutral language’. This has happened due to English being a language of choice in songs and films in popular culture, as well as the language typically used in the world of business and finance. This widespread use of English as many people’s second language makes the UK a more tempting holiday destination. 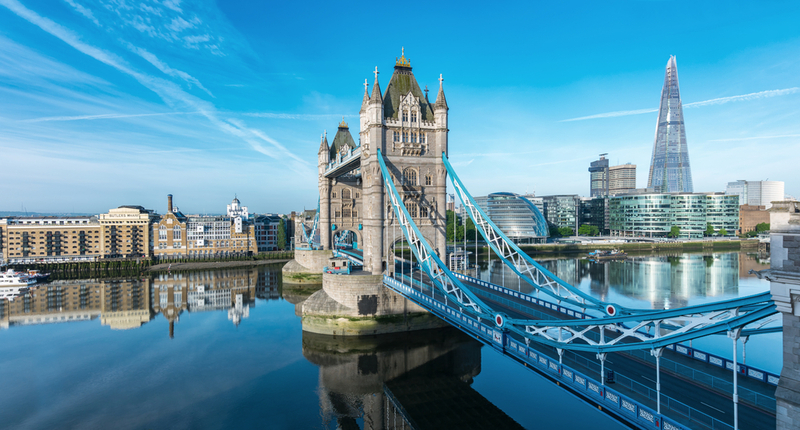 This large, multicultural metropolis is the most popular UK city with tourists, and perhaps this is not surprising given that London is home to iconic landmarks such as Big Ben, Buckingham Palace and The Tower of London. The city is also regarded as a global centre for finance, as well as fashion and music, giving it a status of being a global leader in the same bracket as New York, Paris or Los Angeles. With a large immigrant community, the number of London residents with relatives and friends visiting them from overseas can swell tourism numbers further. Which are the UK’s most popular tourist destinations? After London, Edinburgh is the next most visited city by tourists. 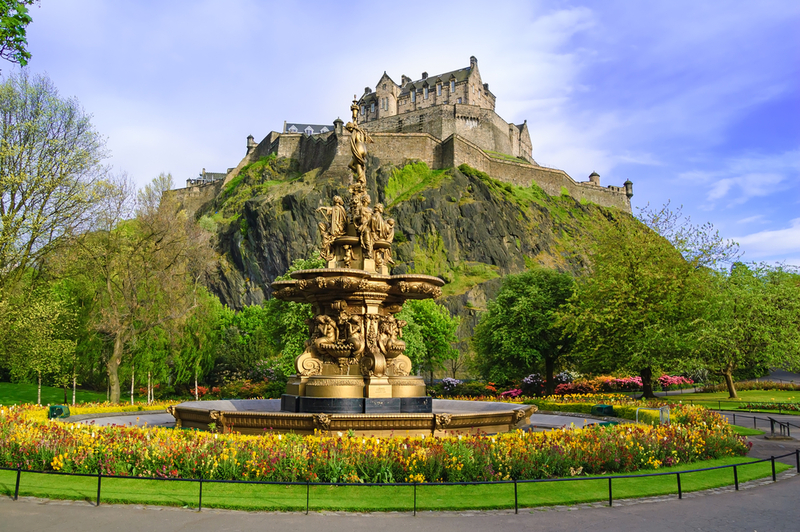 Like London, it offers plenty of history, from Edinburgh Castle where the New Year’s Eve celebrations are famous, to the ‘mountain’ which overlooks the city: ‘Arthur’s Seat’. Edinburgh offers tourists a chance to see the country made popular in films such as Braveheart and Highlander. Manchester comes next, offering visitors the chance to soak in a city which has been made famous by its all-conquering football team, Manchester United, and a lively music scene which is responsible for influential acts such as The Stone Roses, Oasis and The Smiths. The city has undergone a major facelift in recent times, with the arrival of the BBC to the newly built Media City. After Manchester, Birmingham, Glasgow and Liverpool take spots number four, five and six respectively. Due to its historical significance, widely used language and reputation as a cultural and financial centre, the UK appears likely to continue to be a tourist favourite. Its location – falling in between North America and Europe – is also an advantage. So while Brexit may have made the UK more isolated politically, its tourism sector means it can still be a ‘country of the world’.